Members of Amazon’s premium tier of service, Amazon Prime, enjoy a lot of benefits such as early access to deals, unlimited fast delivery at no additional cost, access to Prime Music and Prime Video among others. Now, the e-commerce giant is bestowing more benefits upon the Prime members, and these are targeted at bibliophiles. As part of a new strategy to woo buyers into opting for Prime, Amazon is offering 1 free eBook to Prime members every month. Also, Prime members will be able to buy 1 paperback title of their choice at just Rs. 129 or less, irrespective of its original price at which it is available to non-Prime members. As mentioned above, Prime members will get one free ebook every month. 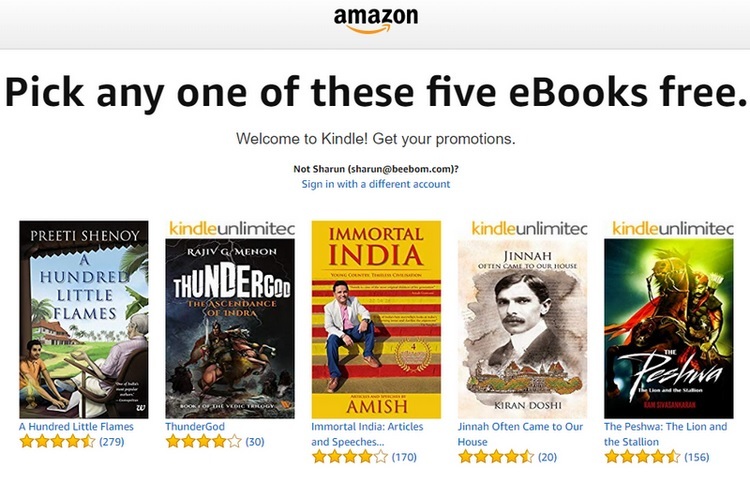 They will be able to select one ebook from amongst five titles chosen by Amazon’s team. 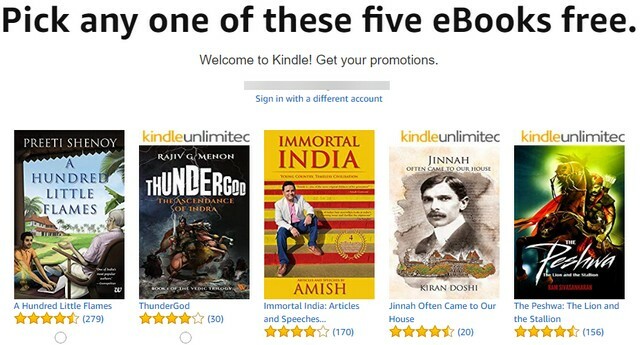 At the moment, Amazon is offering me a choice between Amish’s Immortal India and Preeti Shenoy’s A Hundred Little Flames among three other free ebooks for the ongoing month. Amazon Prime members will also be eligible to buy the physical copy of any book covered by the offer at just Rs. 129 or less, irrespective of its regular price for non-Prime members. All one has to do is just add the physical copy of a book to their cart, and the discount will be applied automatically at the time of checkout, bringing the final price down to just Rs. 129 or even less. However, there is a small catch. All book listed under the offer must be from a single seller: Cloudtail India. Every month, Prime members will be able to purchase Kindle ebooks at just Rs. 49. However, this offer is not applicable on all ebooks. Every month, a collection of ebooks cherrypicked by Amazon’s editors will be available at the reduced price. If you are a Prime member, you can subscribe to the Reader’s Delight newsletter to discover new books that are on offer.